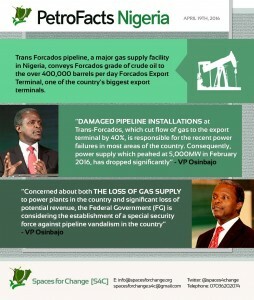 Taking its digital advocacy around the energy sector reforms in Nigeria a step further, SPACES FOR CHANGE has launched an interactive visual data campaign called “Petro-Facts Nigeria”. The campaign uses a combination of bespoke graphics and imagery to provide critical information and visualize energy sector data in an easily-understandable form. 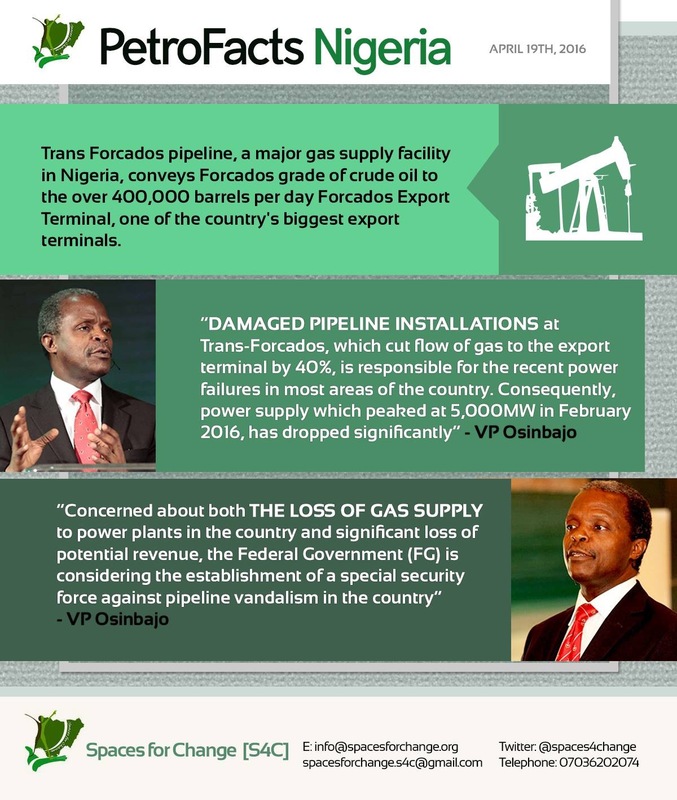 Petro-Facts Nigeria campaign flags the latest information on the projects and related activities in the oil and gas sector in Nigeria. It draws public attention to government initiatives associated with this sector, labour issues, new technologies and interesting facts and figures that citizens need to be aware of, in order to take active part in the ongoing reform processes in the energy sector. 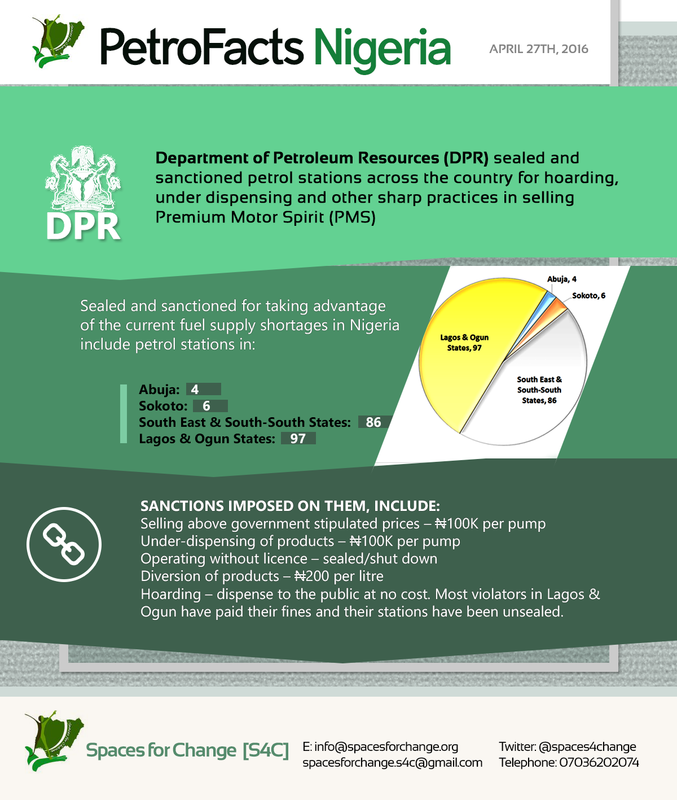 Capitalizing on the organization’s strong online presence, Petro-Facts Nigeria’s interactive images are usually circulated on a variety of social media platforms. We have used these images to create a better engagement with target groups, mainly the youth, resulting in important public conversations on online spaces regarding the latest developments in the Nigerian oil and gas sector. Although this project is non-funded, and ultimately driven by our institutional passion to influence the energy sector reform processes, we remain committed to deepening public interest in, and facilitating targeted engagement around issues relating to the ongoing reforms in Nigeria’s energy sector. We seize this opportunity to appeal to our supporters, fans, admirers of our work, collaborating local and international partners, to support this campaign. We will welcome any financial and in-kind support to pay graphic artists, social media managers, news content sources, crowdsourcing administrators. Your support will also, take the reach of the campaign beyond the social media to the traditional mainstream media. We thank you in advance of your continued support and cooperation.